You are currently browsing the tag archive for the ‘Argon’ tag. 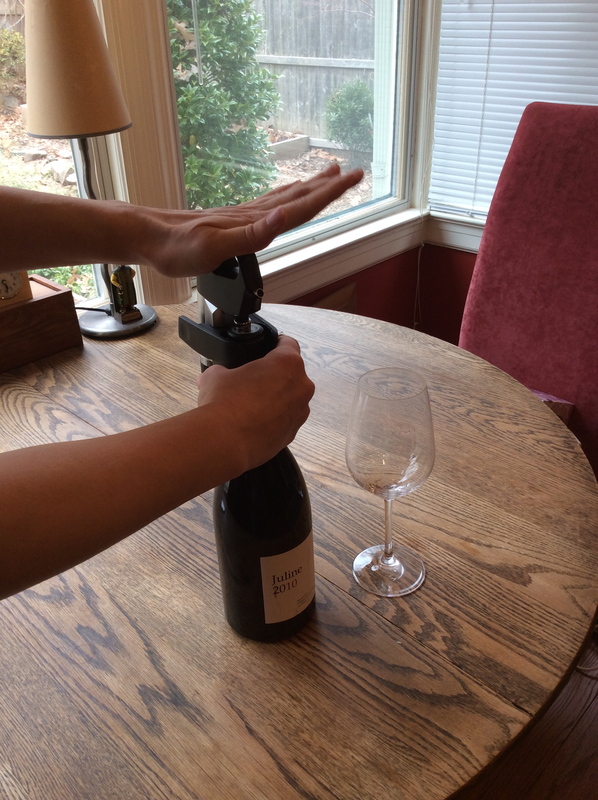 The holidays came early this year with my purchase of an exciting new gadget called a Coravin, a new wine preservation system. This is a small device you can use to tap into a wine without removing its cork, that is, it’s as though the bottle has never been opened. 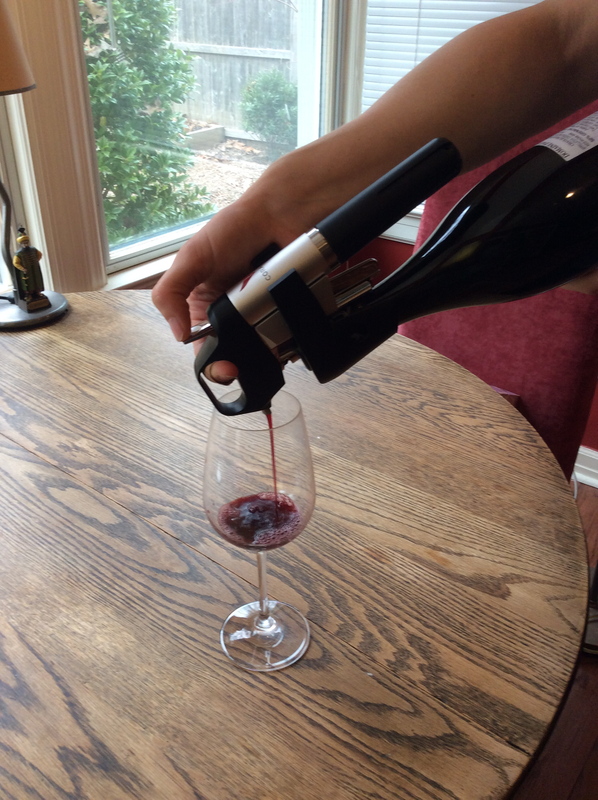 This clever tool was innovated by Greg Lambrecht, a man who just wanted to have a glass now and again without needing to consume the whole bottle. It is also a useful tool to test whether that special wine is now ready to drink (maybe it needs a few more years?). You can now sneak a taste and eliminate the guesswork. While it was designed for the wine collector, I believe it has had an even greater effect on the wine industry itself. For my part, I can sample high end wines to my retail and restaurant accounts without worry (and therefore sell more wine too). Prior to my purchase, I would never have dared sample that Dupont-Tissanderot Mazis-Chambertin 2006 without having at least twelve appointments! Now, no problem. Sommeliers benefit because they can now pour a much broader range of wines without concern of spoilage. So in finer, more cutting edge restaurants, like Lafayette, it is now possible to find a high end wine like Châteauneuf-du-Pape or Côte Rôtie poured by the glass. Retailers, too, can also sample their customers on a wine before its purchase. This game-changing gadget has been affectionately nicknamed the ‘mosquito’, as there is indeed something a little vampiric about it! You can use it on any bottle with a true cork, NOT screw cap and definitely not sparkling wine. Simply pull the needle down and clamp it around the neck of the bottle. 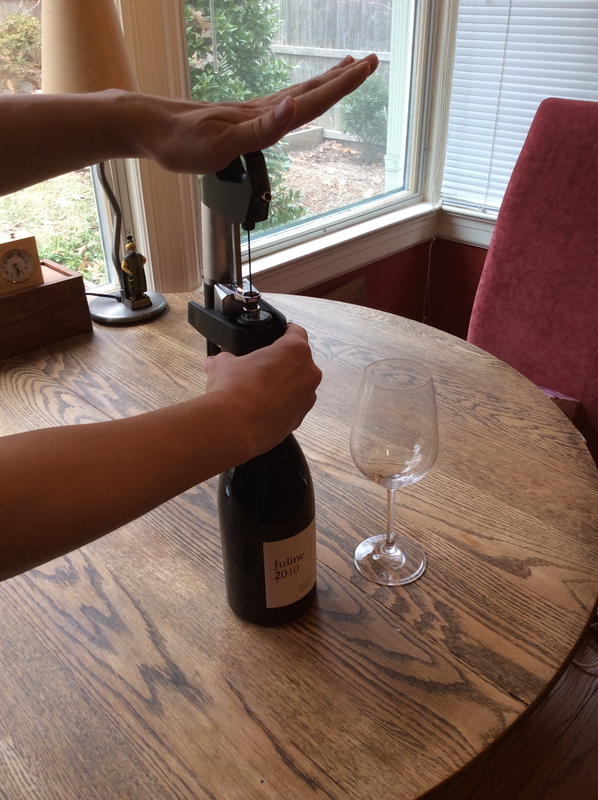 The needle should be resting right on top of the cork, and there is no need to even remove the foil or dressing. Once fastened, push the needle into the cork. As the needle is quite sharp, it doesn’t require much physical effort to penetrate the bottle. Hold the bottle upside down with the spout positioned over your glass and quickly press the button on the handle (it doesn’t take much, maybe a second). As wine leaves the bottle, argon gas goes inside the bottle in its place. Once you upright the bottle again, the wine will cease to pour. 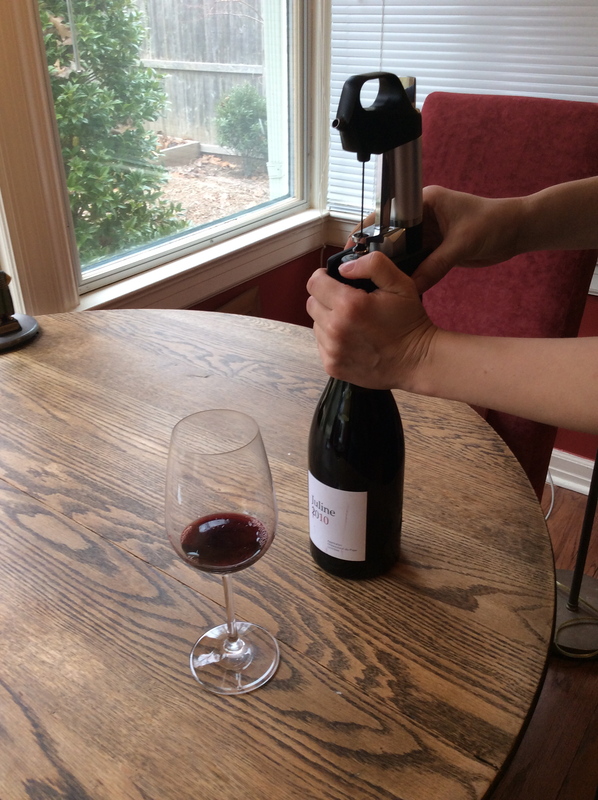 While holding the clamp, simply pull the needle back out and the injected cork heals itself. The argon inside the bottle perfectly preserves the wine and has no effect on its flavor. 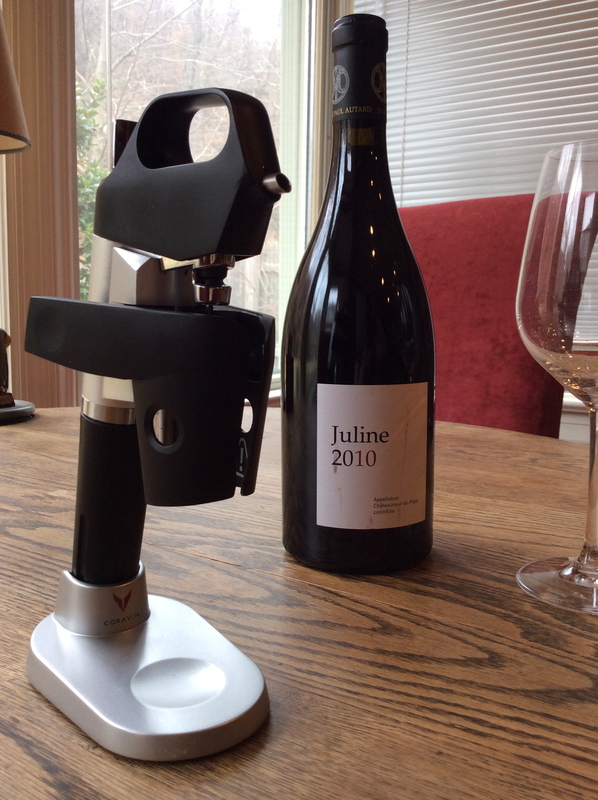 You could ‘coravin’ (now also used as a verb) that wine to the last drop over a couple of years (or potentially longer) without compromising it … Brilliant! The one drawback is the high price tag of $300 and, at $10 a pop, those argon canisters are not cheap either. Each argon canister is screwed into the handle base, a design not unlike a whipped cream canister, and each is good for about 60 one-ounce tastes or 7-8 generous glass pours. So it’s really NOT ideal to use it on a bottle you intend to finish that evening (or even the next day) and certainly not on a wine under $15. But if this sounds like the right tool for you, find out more about it here.